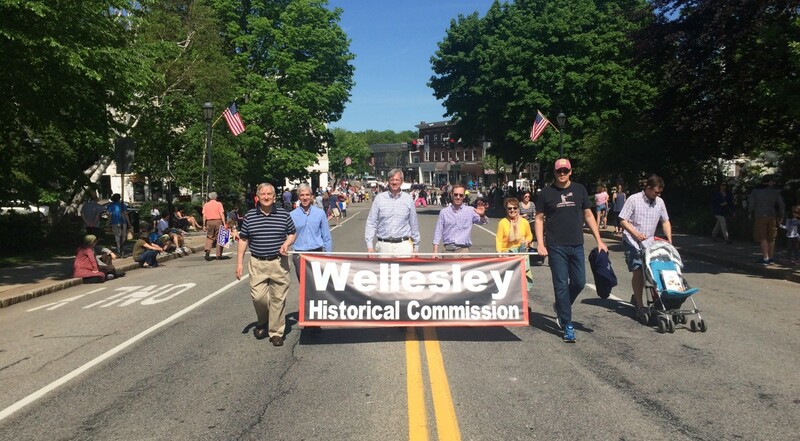 The Wellesley Historical Commission led tours of Wellesley’s Town Hall and Old Substation on Saturday, May 20th, and marched in the parade on Sunday, May 21st. The weather was beautiful and it was great to see so many supporters and cheering fans along the street! From left to right: Dwight Lueth, Larry McNally (Vice Chair), Michael Racette, Grant Brown, Rise Shepsle, Arvid von Taube (Chairman) and Robert Carley (with young son).